The 20th stop on our Playground Tour (can you believe we have been to that many?) was Centennial Park and Playground. 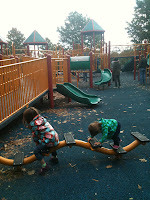 Located in Ellicott City, Centennial Park is a large park that actually has 3 separate playgrounds but we only visited the South playground which is the largest of the three. The main entrance to the park is on route 108 and the playground is to the left just after you you come through the main entrance. A pretty large playground, it starts at a low end with smaller slides, tunnels and climbers and gradually gets higher and higher with larger slides as it goes up. It also has a pretty large climbing wall, a cool standing swing, and lots of hanging and balancing equipment. 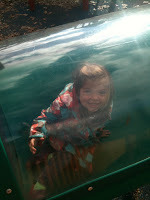 Overall this playground is probably geared a little more towards older kids but the Bee and The Bean found plenty to do there. If nothing else the whole playground is connected with bridges that the girls loved running up and down. The playground is all one piece that makes it pretty easy to keep an eye on little ones. I was a little surprised by how crowded it was this morning, and from what I have read it seems that it is pretty crowded most of the time. 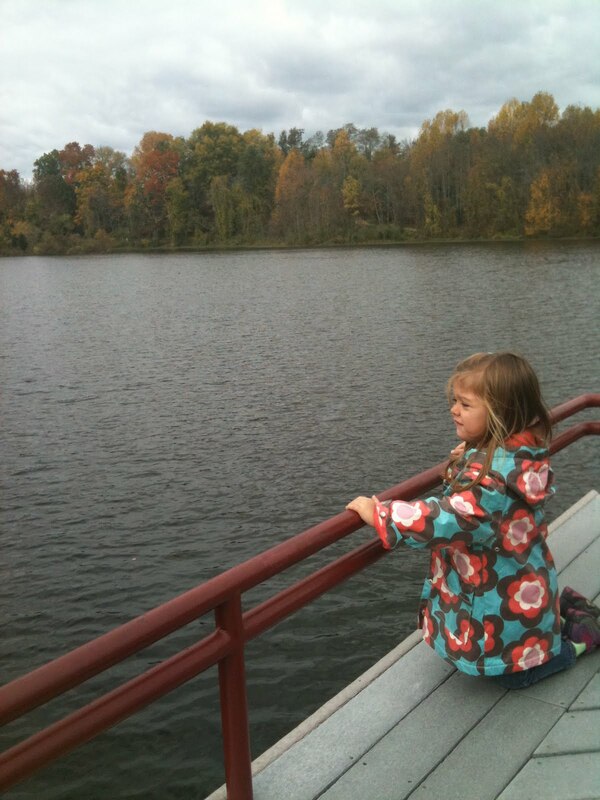 However the playground is just a small part of the very large park that has a beautiful lake, lots of walking trails, most of them paved and great for bike riding, a boat pavilion where you can rent boats by the hour, picnic areas and pavilions that you can rent for parties or events. Overall this was a very nice playground, well shaded, which would make it a great playground for a summer trip!